The centenary of a record-breaking airship journey is being marked by Scotland’s National Museum of Flight. The giant R34 airship made the first return flight across the Atlantic and the first east-west crossing by air in 1919. Bosses at the East Lothian museum, a base which has a close connection to the airship’s history, hope visitors will use the anniversary as a reason to visit and learn about the epic 6,000-mile double-Atlantic crossing. The 634ft R34, nicknamed Tiny, was stationed at East Fortune – now home to the museum, which started out as a Royal Naval Air Station. The primary duty of airships was to protect convoys and carry out anti-submarine activities. HMA R34 arrived at East Fortune in May 1919, having been constructed at the Wm Beardmore factory at Inchinnan near Glasgow but completed too late for active service in the First World War. The airship’s main claim to fame came in July 1919 when it and a crew of 30 set off on the first direct flight between Britain and the US. Its journey began on July 2, just a few weeks after Alcock and Brown’s record-breaking west-east Atlantic flight. The R34 reached Mineola in Long Island at 9.45am on July 6, 108 hours and 12 minutes after departing from Scotland. The journey was hampered by dwindling fuel supplies, violent squalls and a leak that was repaired with the crew’s supply of chewing gum. Its story is told as part of the National Museum of Flight’s Fortunes of War permanent display. 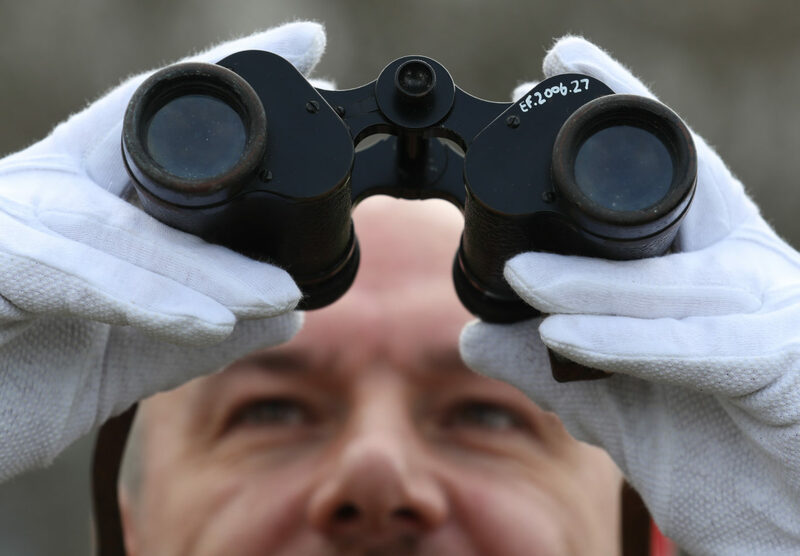 It features objects such as the large bowplate from the R34, the airship’s altimeter dial, binoculars and a camera used on the flight as well as a bottle of brandy taken on board for medicinal reasons. The museum is also launching a search for images of memorabilia plus recollections from descendants of the R34’s crew members, which it hopes to develop into a digital gallery to help tell the airship’s story. 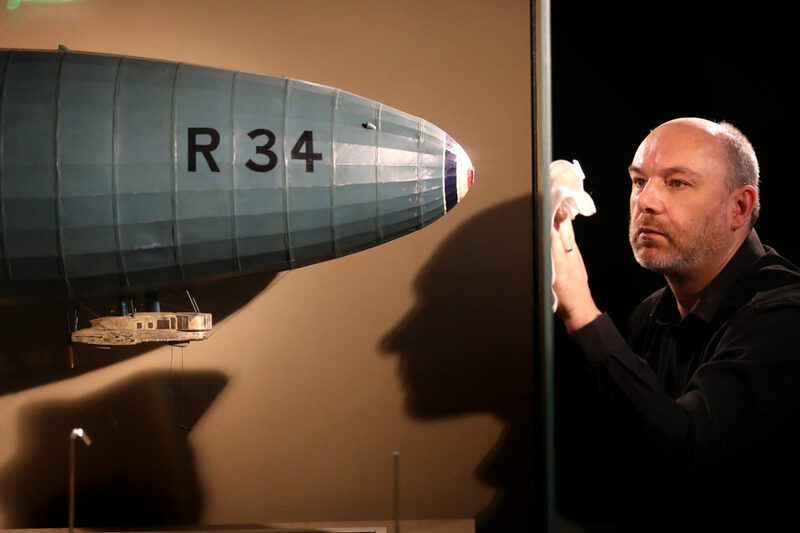 Ian Brown, assistant curator of aviation, said: “The story of the R34 is packed with insights into the technologies and social history of the time. “It was a huge undertaking that was front-page news both in the UK and the USA, and it’s fascinating to know that the crew really were convinced that large, rigid airships like the R34 were the future of long-distance travel. The National Museum of Flight begins seven-day opening for the new season on Saturday.